My name is Matt Greenstein and I spent over $5,000 - and didn’t get a single customer out of it. To provide some background, I’ve used Adwords and other common tools such as Facebook ads, a significant amount in the past 2-3 years, and quite successfully. The difference is, previously, I helped launch the Adwords initiative at GoDaddy where we were selling Adwords to small and medium businesses (SMBs) hosted on our servers. GoDaddy is an established brand with 13 million customers – but the experience of working with a variety of SMBs yielded a number of insights that I’ll elaborate on below. However, it was difficult to apply these lessons in the context of an early stage start up – I recently joined Instavest, a YCombinator fintech start up based in Mountain View, CA. It’s a different game all together. We ran both an Adwords campaign through Google as well as a Facebook ad campaign. Neither was successful in delivering us a new customer. Below, we review the stats from each and specific learnings from the experience. By understanding what really drives Google’s system, it becomes clear as to what’s going on. What we learned is that if the consumer (i.e., the searcher) clicks on an ad and doesn’t see information immediately relevant to their search, they will leave the site. For us, ~70% of users that came to our site via Adwords left within the first 10 seconds. The other important thing to realize is that most sales are made on the 6th-8th contact. Looking at the data above, that certainly isn’t cheap. How is this relevant? Well, many start-ups have a work-in-progress site, or haven’t incorporated tried and true messaging. In the 25 character heading of an ad (or the subsequent 2x 35 character descriptors that follow), nailing down the language is important. 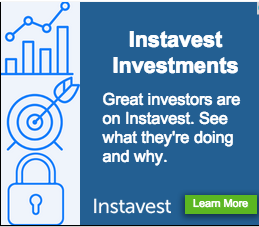 Additionally, for start-ups looking to disrupt a space, garnering clicks against incumbent companies (e.g., Fidelity, Charles Schwab for Instavest) is quite difficult. One other point worth mentioning is that it’s important to realize that Google is not a predictor of trends, but rather a catalyst for them. If you haven’t attracted new users to your product, what you’re left with is essentially a learning tool that allows you to comb through some data. Many start-ups do consider using Adwords to “learn who their customers are” – it is important to ask yourself if Adwords is a cost-effective way of doing so. To provide contrast, we put up a blogpost that had similar messaging, and that yielded us 20 new customers in the first 24 hours. Many of the same lessons noted above apply here (although we have less data). We wanted to push people to our Facebook page – however, despite our efforts, none of these users translated into a new customer for our product. Getting eyeballs on your name is important for brand awareness, but as a start-up, you have to consider scalability carefully. As such as every start-up co-founder or business development team wants to advertise their company on a major channel like Facebook, it simply might not be that effective. After reaching nearly 1 million people, we didn’t get a single customer. This is in contrast to the $100 I spent on post-cards that I passed out to people around the Bay area. From those, I got 6 new customers. The data is telling. Our take away? Don’t just base your marketing activity on what is common/known – think about keeping costs down and how you can hustle your way to growth. Additionally, I think it’s worth mentioning that if you run an unsuccessful campaign through Adwords or Facebook as a start up, that has no correlation to your future success, ability to attract customers, or even how these platforms would perform at a later stage (e.g., post 10,000 users). This may sound convoluted, but Adwords and Facebook Ads are both great products for the right company, at the right time, if you do it right.